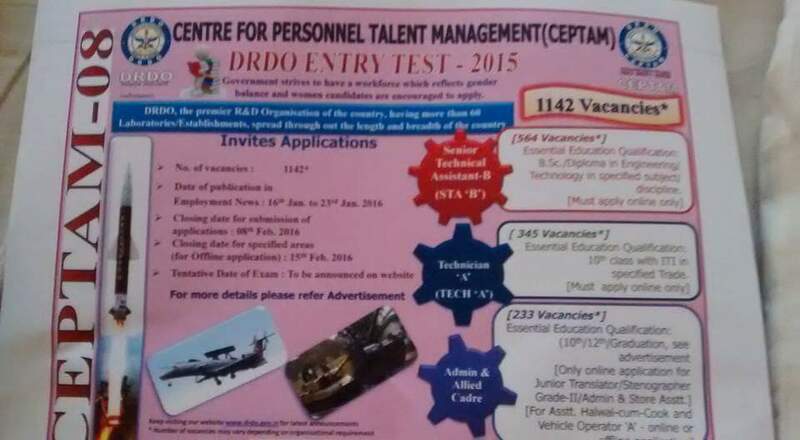 DRDO Recruitment 2016 www.drdo.gov.in For 1142 Various Technical, Assistant Post. 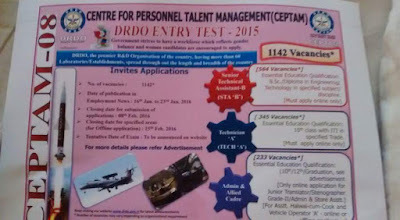 DRDO: Defence Research and Development Organization Has Published the Recruitment Notification for Various Technical Assistant, Admin Assistant Post through CEPTAM 08. Eligible Interested Candidates Can Apply Via Online Mode. Last Date for Submitting Online Application form 08th February 2016. DRDO: Defence Research and Development Organization Recruitment 2016 For Various Technical Assistant Post. No of Vacancy- 1142 Posts.